I recently received a few products from various companies and I wanted to give them some shout outs. 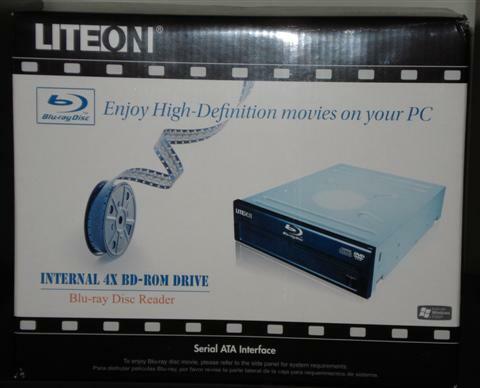 Lite-On sent us their DH-401 BD-ROM drive, which is an internal SATA drive that supports Blu-ray Disc reading at up to 4X speed. We will be posting a review on the BD-ROM drive as well as using it for creating additional articles, tutorials and other items related to Blu-ray reading and ripping. 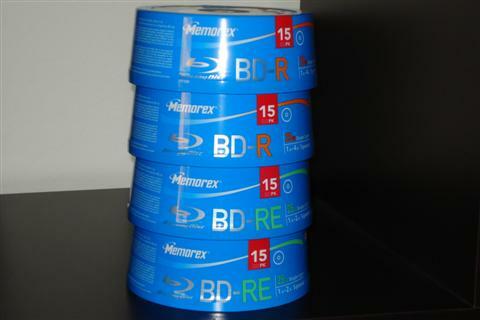 Memorex sent us some 25 piece spindles of their BD-R and BD-RE, some DVD+R DL discs and some of their other media. The BD-R media is rated up to 4X, while the BD-RE media is rated at up to 2X (Blu-ray speeds). These discs will be used in some upcoming Blu-ray burning articles that we have planned for the future. Thank you to both companies for supplying us with these products.